Les extraits de presse sélectionnés sont présentés dans leur langue originale. Twee jaar na de eerste editie pakt het Ictus ensemble uit met This is not a pop song II. Het concept is eenvoudig: vraag klassiek geschoolde componisten om nieuwe ‘songs’ te maken voor een rockbezetting. De enige opdracht is om allerminst een ‘gewone’ popsong te maken. Toch is de verleiding blijkbaar groot om je te laten meesleuren door de extase van de luide versterking, de grooves, de effectenpedalen. […] Net als bij voorganger ‘KDGhZ2SA’ is de titel van ‘YZ3Z2Z1S2’ een aaneenschakeling van de door Fafchamps gecomponeerde soefiletters, waarbij de volgorde geen specifieke betekenis heeft. Het mag dan ook duidelijk zijn dat ondanks de specifieke achtergronden van de titels, de werken en de muziek op zichzelf staan. Meer nog: die blijft, zoals wel vaker bij Fafchamps, erg toegankelijk voor een breed publiek, zonder in simplificaties te vervallen. In ‘S2’ is dan weer een heel voorname rol voor de live elektronica weggelegd. Aanvankelijk zweeft die als een synthesizer door de akoestische instrumenten om het geluid daarna orkestraal op te pompen tot Varèse-achtige proporties. Later klinkt de technologie als het razen van de wind over een verlaten vlakte of als stormachtig gedonder. Fafchamps weet deze kleuren echter mooi te combineren met blazers en een strijkkwintet die aanvankelijk schurend en wringend voor de dag komen, maar daarna ook lichter fladderend een uitweg zoeken, als vlinders, opgesloten in een glazen bokaal. Wanneer hij gebruik maakt van kleinere bezettingen, kiest Fafchamps voor een opmerkelijk abstractere sound. Melodie wordt ondergeschikt aan de kleur, zeker in ‘Z3’ waar een wirwar van trombonepartijen gestapeld wordt, van meerstemmig brommen, het jazzy gebruik van plunger demper (waardoor de klank even mooi als traag van kleur verandert) of quasi militaire aanzetten. Wanneer die geluiden later meer gefilterd worden, scheert Fafchamps langs de wereld van de oude sciencefiction, zonder vintage te worden. Dit mede dankzij de bij momenten verbluffend precieze uitvoering van Alain Pire die in het meer dan tien minuten durend solostuk slechts sporadisch op een onzuiverheidje te betrappen valt. Nog meer op klank gericht is het begin van ‘Z1’ waar de honneurs worden waargenomen door piano en altviool. Het is dit laatste instrument dat de inzet voor haar rekening neemt met korte gestes die opnieuw gestapeld worden. Door het ontbreken van een dominant toonhoogteverloop of metrum verdampt elk tijdsbesef en het is dan ook wachten tot de muziek meer melodisch wordt voor de luisteraar houvast krijgt. Eens deze weg ingeslagen is er echter geen houden meer aan en onder invloed van de piano en de elektronica explodeert het werk in een sonore vulkaanuitbarsting. Opnieuw is deze climax niet het eindpunt […]. Het terugplooien is symptomatisch voor de uitgekiende vormgevoeligheid van Fafchamps muziek. Die neemt zijn tijd waar het nodig is, zonder onnodig en gemakkelijk te blijven dralen in muzikale situaties. Hierdoor kan wordt de luisteraar in eender welke situatie en gedaante meegezogen in het muzikale discours, wat deze ‘YZ3Z2Z1S2’ nog overtuigender maakt dan voorganger ‘KDGhZ2SA’. […] Pour ces trois compositions, Fafchamps s’est limité au seul piano dans toute sa singularité. Pour cet album, Fafchamps laisse le soin à Stéphane Ginsburgh d’interpréter les trois pièces qui composent Back to… Une interprétation physique, qui prend résolument aux tripes et qui est habité par une forte passion. De fait, Ginsburgh était l’interprète idéal pour ces morceaux. […] Pour bien faire, il faut lire les explications du compositeur tout en écoutant sa musique ce qui aide grandement à la comprendre mais aussi laisse à l’auditeur toute latitude pour organiser selon son bon vouloir les morceaux d’une manière improvisée ou raisonnée. Cependant, c’est bien la démarche improvisée qui semble avoir les faveurs de sieur Fafchamps, la manière la plus personnelle qu’il avait pour apprivoiser le piano et approcher au plus prêt les artistes qui l’ont influencé et avec qui il se sent des affinités. C’est pour cela que ce disque est selon ses dires « un travail sur la mémoire ». Une mémoire qui lui appartient, qu’il partage avec nous tout en nous laissant la modeler comme nous le souhaitons. Back to…est un disque libre aux différentes lectures ce qui permet de l’apprécier de multiples manières. 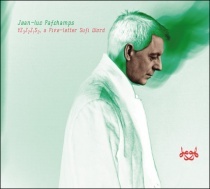 In YZ3Z2Z1S2, a Five-letter Sufi Word, Jean-Luc Fafchamps has arranged a number of musical movements that entail different solo combinations. […] The compositions range in length between 7 and 15 minutes – and all of them are splendidly intense and emotionally involving. 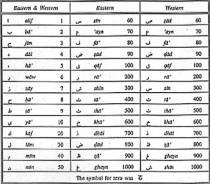 The different scores have originated from a sort of desire-inspiration of a particular letter, with no preconceived organization or relationship to some unifying logic. Taking inspiration from Sufi wisdom, the keystone of the whole process resides in the mystic ecstasy recalled by the enchanting sounds, which unravel in untempered harmonies, polyphonies and eccentric moods. The album leans in multiple directions simultaneously, crossing a number of musical styles: some passages appear improvised, while others evoke the electroacoustic tradition, tangible in the excellent combo synthony, always responsive to the unpredictable suggestions evoked by each contribution. Each letter is considered as a unique word, but at the same time they are deeply connected to all the others: as matter of fact, the combination of letters to make words was an intentional compositional move. Uniting a purposive togetherness with the freedom for individuality to flourish is a classic element of Sufi wisdom, here presented in the most precious intersection of elements for a musician: the thrust in the truth of sounds and their intimate essence. […] Entre dissonances et rythmiques qui sont très loin d’être statiques, ce disque dépasse allègrement les contours les plus connus de la musique contemporaine. Ces cinq pièces sont de réelles constructions qui se présentent quasiment comme des éléments vivants mais aussi spirituels. […] Fafchamps démontre ici que même si la musique contemporaine demeure dans le champs de l’abstraction elle possède toujours une marge de manœuvre qui lui permet d’ouvrir de nouveaux espaces. Et ici, ces nouveaux espaces sont encadrés selon un schéma préétabli par Fafchamps lui-même qu’il explique très bien dans le livret du disque. Bien entendu, cela ne changera en rien le fait qu’un disque comme celui-ci restera dans le cercle d’initiés pour lequel il est destiné mais il prouve que la musique contemporaine ne sera pas comme le latin, une langue morte. In des Klaviermusik des belgischen Komponisten Jean-Luc Fafchamps, die er auf dem Album “Back to…” vorstellt, kommen verschiedene Traditionen zusammen. […] Fafchamps gibt sich dabei immer wieder als Pianist zu erkennen, der gern für sein Instrument schreibt, ohne in romantische Virtuosenliteratur Zurückfallen. Sein Interesse an Klang bewahrt ihn ebenso davor, in allzu vertrauten Avantgarde-Mustern stecken zu bleiben. Bei ihm darf es auch schon mal zur Sache gehen. “YZ3Z2Z1S2, a Five-letter Sufi Word” bietet einen Einblick in seine Kammermusik […]. Hier herrschen vor allem die Obertöne, reagieren akustische und elektronische Klänge miteinander und fügen sich oft dramatische Konstellationen, die Fafchamps gern mal die eine oder andere überraschende Wendung vollziehen lässt. 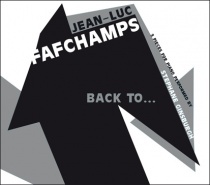 This “back to” what he fondly defines “an old buddy of mine” by Belgian pianist and composer Jean-Luc Fafchamps smells like a liturgical anamnesis: “back to my first musical feelings, but also my first writing techniques, which werequite remote from my current aesthetical concerns; back to the music pieces engrained in my fingers through practice; finally, back to the numerous hours of free improvisation of my lazy youth…[…] those back to…are works about memory” and such a mnemonic elegy and idyll got crystallized in three touching pieces performed by Stephane Ginsburgh. Fafchamps’ return to piano could be thought as the comeback to workout of a sportsman after a crippling injury while listening to the first suite “Back To The Pulse”, where you can imagine a session of emotional high hurdles: the engaging rolling of legatoes and staccatoes manages to put a further strain on the insistent and somewhat feverish harmonic progression which could render an idea of motion with awesome and sudden ligatures, interruption, tumbles and variation like the amazing one after 4-5 minutes when the imaginary hurdler looks like running in the dark and the seriousness of the situation got emphasized by the insistent stroke on the lower and higher tones, before the last ones begin to get closer to the central octaves, keep on running and diving into a sort of ragtime till the end. 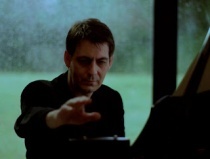 Those breaks, those tonal dull thuds and frenzied slurs sound like expedients to highlight the evocative power of piano on the following “Back To The Sound”, as if each element means to say “listen to the range of emotions I can inspire and fan into you…”, while more emotional outgrowth intertwines with soulful quotations of Fafchamps’s mentors and peers in the final brilliant “Back To The Voice”. The five “letters” of this second chapter of this research smells of life by means of labyrinthine itineraries, sudden accelerations, dust devils, bolting harmonies and perfect intertwining of instruments and electronics, winning rolls of heavy accents – I found remarkably engaging the ones on “Z1” -, emboli on the musical score where sometimes recurring tonal sequences got entangled by sudden sonic spurts and gripping dynamics, which often resembles mixtures of film-music or “contemporary classic” stuff by Berio, Lygeti or Cage (particularly the suites “Y” and “S2”). It could be equally considered a brain-teaser for students and academics of composition and an engaging listening experience for listeners who don’t really deal with more technical matters. Das Ictus Ensemble präsentiert nach HDGhZ2SA, a six-letter Sufi word (SR, 2012) nun zusammen mit dem Elektroniker Jean-Marc Sullon auch JEAN-LUC FAFCHAMPS’ YZ3Z2Z1S2, a Five-letter Sufi Word (SR365). […] der Auftakt [klingt] in seinem modernistischen Allerlei einigermaßen unspektakulär. Schwindelerregender ist da schon der zwar lange nur mild bedusle, aber mehrstimmige Posaunenchor, der schließlich doch elektronisch überwuchert wird und kleinlaut endet. Danach beginnt die Oboe quäkig herausfordern, das Kollektiv reagiert mit Fliegenklatschenhieben und empörten Missmut, lässt sich kurz dazu anstiften, mitzukapriolen, ein kurzes Vergnügen, das enttäuscht wird und einem heftigen “Schluss mit Firlefanz!” endet. Bratsche und Piano verstricken sich in geräuschhafte Fäden, windige Glissandos und knarzige Laute, so dass harmonische Ansätze und selbst ein energischer Ausbruchsversuch zag und melancholisch scheitern. Zuletzt ballt Fafchamps schrille, kratzige, schnarrende, quäkige, elektronisch bedröhnte, flötistisch durchjaulte und perkussiv berasselte Turbulenzen in orchestraler Kakophonie zu einem Prachtstück, das aber erneut in Katerstimmung erschlafft. Allerdings wird diesmal ein deklamatorischer Einspruch zu Protokoll gegeben. Richtig, mystische Erleuchtung oder Happy End klingen anders. Quella del belga Jean-Luc Fafchamps è una musica che apre orizzonti pur essendo autoconclusa, che riflette su stessa ma non tanto (o non solo) a proposito del proprio “medium”, quanto sulla sua costituzione, sulla sua struttura, sul suo stesso esistere, su ciò che la fa essere tale. Però è musica, non musicologia o filosofia o estetica o epistemologia. Una riflessione musicale sull’esperienza musicale che “è” e “si fa” esperienza. In questo senso “Back to…” è un’opera veramente coeva, già dal titolo che, con in punti di sospensione, lascia aperto il discorso del suo contenuto che è legato al passato, alla memoria, alla esperienze vissute (“back”) ma non come oggetto, ma come tensione e movimento sempre da rimettere in atto (“to”). Tre pezzi-pièces neanche troppo lunghi per pianoforte, strumento che la cover richiama con il suo chiaroscuro (una specie di essenziale visione dada-futurista). Molto belle pure le note del libretto che aiutano la comprensione senza esser troppo didascaliche. E la musica? Il primo pezzo (Back to The Pulse) è un mantra sincopato che si fa ossessivo; nonostante la ripetitività delle frasi musicali è presente un dinamismo sempre sull’attenti, spezzato da incisi e pause che non disperdono il cammino ma al contrario – paradossalmente – lo rafforzano, a parte quello che potremmo definire il terzo movimento che è uno stupito, curioso vagabondaggio sul luogo raggiunto, sempre con la stessa percussiva ripetitività . Back to The Sound è appena più disteso all’inizio con le sue cascate di note, valorizzando sia la durezza spezzata dei suoni dello strumento (staccati) sia la dolcezza (legati), in una continua, instabile esplorazione della tastiera. Così pure il terzo pezzo Back to The Voice, in cui – ancora una volta – pause riflessive si alternano a scossoni frenetici. Completamente diverso come sonorità “YZ3Z2Z1S2, a Five-letter Sufi Word” per ensemble orchestrale a cui si aggiunge una componente elettronica. Anche in questo caso c’è un concept (la tradizione esoterica islamica) ma la musica può essere ascoltata benissimo senza alcun riferimento oggettivo. Si passa da un Feldman orchestrale (o un Edgard Varèse convertito alla mistica), a un trombone estatico che Albert Ayler non avrebbe disdegnato di donare per Stravinskij, non emettendo squittii di archi che si mettono pure a cantare e un terrifico basso dark da metal o industrial. Quello che “Back to…” fa per e con il piano qui viene fatto con e per l’orchestra, per ciò che ne rimane. Fafchamps ha certo una grande sensibilità per il colore e il timbro di ogni strumento, combinando pause e sussulti, vigore e leggerezza. Un’esperienza decisamente “fonica” in cui Fafchamps – e noi con lui – esploriamo “musicalmente” due ambiti esperienziali che possiamo pure non fare nostri (la memoria, come ricordo delle esperienze pianistiche: lo studio, la composizione, l’esecuzione; e l’esoterismo islamico tramite lo studio delle lettere, come una cabale) ma che non lasciano indifferenti. Certo, ascoltati subito dopo i Ramones questi CD non lasciano il segno, ma fuori dalle immediate vicinanze non possono fare che bene. Fafchamps ist einer dieser belgischen Komponisten, die hochinteressante Musik schreiben, außerhalb Benelux aber kaum wahrgenommen werden. Er hat als Interpret u. a. für Sub Rosa Werke von Feldman, Scelsi, De Mey oder Duchamp eingespielt und ebendort auch mehrere CDs mit eigenen Stücken veröffentlicht. Hier nun zwei zeitgleich erscheinende CDs die die sehr verschiedenen Seiten des Klangkünstiers zeigen: Während “Back to…” sich den Themen Pulse/Sound/Voice in drei Klavierstücken annähert, spielen auf der auch konzeptionell (noch) strengeren “YZ3Z2Z1S2” (die Zahlen gehören jeweils tiefgesetzt, die Logik hinter dieser der Sufi-Tradition entlehnten Kompositionsweise wird im booklet kurz erläutert) Solisten und/oder das Ensemble ICTUS Stücke zwischen Neuer Musik, Jazz und ImproElectronics, ein (Hallo Phrase!) Spannungsfeld, im dem Fafchamps schon seit Jahrzehnten agiert. Keineswegs leichter Stoff das, aber Belangloses hören wir (ungewollt) ja den ganzen Tag schon genug. Depuis maintenant 13 ans, Jean-Luc Fafchamps compose des “lettres soufies” en s’inspirant du Jawâhiru’l Khamsah, un tableau mystique qui tissent des liens entre les 28 lettres de l’alphabet arabe et divers traits symboliques. YZ3Z2Z1S2 est le deuxième “mot soufi” qu’il présente sur disque (j’ai manqué le premier). Il s’agit donc d’une pièce de musique contemporaine en cinq mouvements. L’instrumentation varie d’un trombone avec électroniques (“Z3”) à un ensemble de douze musiciens (bois, cuivres, cordes, piano, percussions, électroniques dans “S2”). Mouvements souvent chargés en émotions, parfois denses, qui établissent des liens étroits entre eux. Les électroniques sont parfaitement intégrées à l’ensemble et l’écriture est riche, foisonnante. Impossible de tout saisir en une écoute, mais cette première écoute est suffisante pour constater que voilà une œuvre qui a beaucoup à m’offrir. J’aurais d’ailleurs le goût de la réentendre dès maintenant… et de me procurer le premier mot. Stephane Ginsburgh, créateur du premier Back to the voice (1998) enregistre le cycle complet qui comporte encore Back to the pulse, créé en 2008 par Jean-Philippe Collard-Neven et Back to the sound qui fut en 2010 l’imposé des demi-finales de la session piano du Concours Reine Elisabeth. Les trois œuvres relèvent toutes d’un processus de développement organique où les cellules de départ donnent naissance à des états mouvants, d’une extraordinaire flexibilité, dont les jeux de répétition n’ont plus rien de mécanique. On peut à son gré mélanger l’ordre des plages du CD : une excitation sensorielle finit toujours par s’installer. De l’art de créer des objets sonores en devenir. Avec les “Back To ” de Fafchamps, la littérature pour piano s’enrichit d’un triptyque éclatant de vie et d’intensité. Chaque “mouvement” ouvre un monde neuf, caractérisé par des sensations et des techniques spécifiques : “Back To The Pulse” (2008), obsessif et pseudorépétitif, entraîne l’écoute dans le pur plaisir de la pulsation (forcément), renforcé par quelques pièges vertigineux ; avec ses variations, son groove, ses scintillements, l’exubérant “Back To The Sound” – créé au Reine Elisabeth 2009 – fait déjà partie des classiques; enfin, “Back To The Voice” (1998), plus ancien, plus expérimental, mais typiquement fafchampsien, tente de marier continu et discontinu, chant et percussion, et y parvient. Libre, virtuose, inspiré, le pianiste Stephane Ginsburgh est ici au cœur de son art. Le 7 mars 2010, Ictus créait à Flagey dans le cadre d’Ars Musica le 2e Mot soufi qui comprend 5 lettres. Cinq mouvements d’une distribution instrumentale très variée. Les deux mouvements extrêmes sont confiés à un ensemble tandis que les trois médians comportent un dialogue d’instruments solistes avec l’électronique (trombone pour le 2e, piano et alto pour le 4e) ou un ensemble réduit de neuf instruments pour le hautbois (3e). Une construction rigoureusement symétrique qui explose dans la 5e lettre (Thâ´) où l’ensemble et l’électronique atteignent un moment paroxystique avant qu’un moment d’une quiétude retrouvée ne clôture l’œuvre dans un climat de magie transparente. L’interprétation d’Ictus, partenaire de longue date du compositeur qui est un de ses membres fondateurs, est idéale. Depuis 1999, Jean-Luc Fafchamps travaille sur un vaste cycle « ouvert » qui puise son inspiration dans la symbolique mystique des vingt-huit lettres de l’alphabet Soufi et de l’incantation de la Da’Wah. Le compositeur en est aujourd’hui à 13 lettres. Il lui en reste donc quinze, comme il se plaît à en convenir… Conformément à la charte soufie qui attribue des caractéristiques propres aux différentes lettres, Fafchamps est en train de réaliser une véritable ode à chacune des composantes de l’alphabet arabe. Le compositeur, lors d’exécution de ses pièces en concert, les agence de façon aléatoire pour former un mot. Ce « work in progress » a déjà donné lieu à un certain nombre d’exécutions, six de ces pièces font l’objet du présent disque. Etrange univers où se tissent d’incroyables jeux de correspondances et de rébus… Cet enregistrement réalisé au cours d’un concert donné le 16 mars 2006 au Palais des Beaux-Arts de Bruxelles lors du Festival Ars Musica réunit six lettres arrangées pour former le mot KDGhZ2SA. « J’ai abordé les lettres comme des oracles ouverts », convient Fafchamps, qui a conçu un oracle tel des paramètres symboliques propres aux lettres. K (Kà f) et A, qui ouvrent et concluent respectivement le disque sont les premières pièces pour grand orchestre écrites par Fafchamps, qui atteste d’entrée d’un incontestable talent de symphoniste. Loin de tout sectarisme intellectuel et musical comme de toute complaisance néo-tonale, à l’instar de l’ensemble dont il est membre qui le conduit à fréquenter assidûment toute la musique de notre temps, Fafchamps démontre une puissance d’inspiration et une maîtrise des masses instrumentales extraordinaires, un souffle épique mêlé d’un raffinement de timbres et d’harmonies stupéfiant. K (2005-2006) est une pièce d’une douzaine de minutes au mouvement luxuriant, aux sonorités opulentes, denses et nacrées, ponctuée de gestes orchestraux décalés, inattendus, porteuse d’une sensualité exubérante. Créé en mars 2006 dans le cadre du Festival Ars Musica de Bruxelles, A associe Ictus et l’Orchestre National de Lille en un enchaînement de péripéties rutilantes qui conduit à une singulière cadence métronomique des cordes de l’orchestre sur fond de solo de caisse claire. Créé dans le cadre du Festival Musica de Bruxelles en mars 2006, Z2 (Z2Dà d) est un virevoltant concerto de huit minutes pour hautbois et ensemble (flûte, clarinette, piano, percussion et quintette à cordes) se présentant tel un intermède au milieu de ses voisines plus graves ou plus imposantes. Chaque pièce impose une ambiance propre, les pages pour ensemble faisant alterner des atmosphères très tranchées, du répétitif D (Dà l) pour clarinette, percussion, piano et trio à cordes (2002) à la force envoûtante de S (2000) en passant par le lent et obsédant Gh (Ghain) pour flûte, hautbois, clarinette, saxophone, cor, deux percussions et quintette à cordes, page la plus développée du CD (16mn) créée en 2004. Tandis que ces deux œuvres gorgées d’inventions plus spectaculaires les unes que les autres qui les placent dans la continuité de Varèse et de Xenakis sont habilement interprétées par l’Orchestre National de Lille dirigé avec vigueur et conviction par Peter Rundel, les quatre autres pages, pour effectifs plus concis, sont magistralement défendues par l’Ensemble Ictus, actuellement en résidence à Lille. Soixante-dix minutes de pure joie musicale, avec six merveilles sonores et d’onirisme agrégeant frénésie symphonique et intimité chambriste qui imposent un maître du temps et du timbre digne d’un peintre magnifiant une palette infinie et luxuriante qu’il agence avec un art singulier dont seul est capable un artiste de haut rang. […] Jean-Paul Dessy dirigeait vingt « créations éclairs », vingt œuvres nouvelles célébrant en cinquante secondes chacune les cinquante années de Musiques nouvelles. Une gageure sans doute, mais qui s’avère une belle réussite. […] On pourrait y relever […] quelques remarquables propositions (le mouvement « explosé » de Jean-Luc Fafchamps dans Ex abrupto) […]. […] une partition collective en vingt parties intitulée 20 Créations éclairs, 50 Secondes pour 50 Ans. Cette œuvre-anniversaire a réuni autour de Jean-Paul Dessy dix-neuf compositeurs belges ayant plus ou moins franchi le cap de la cinquantaine. Excellente opportunité pour eux de concevoir des alla breve pouvant déboucher sur des œuvres de plus large envergure. Chacun des compositeurs a contribué avec talent à ce projet, faisant preuve d’originalité et de singularité […]. La pièce la plus impressionnante a été Ex Abrupto de Jean-Luc Fafchamps, par ailleurs membre de l’autre remarquable ensemble belge Ictus, actuellement en résidence à l’Opéra de Lille, œuvre d’une mobilité et d’une puissance ensorcelante supérieurement orchestrée. 20 partitions d’environ 50 secondes, commandées à 20 compositeurs belges dont l’enchevêtrement va produire de séduisants jeux de contrastes. […] une volonté évidente des créateurs d’intéresser leur public : on séduit […] ou on interpelle tel le très éruptif « Ex abrupto » de Fafchamps, sans doute l’œuvre la plus saisissante de la soirée.